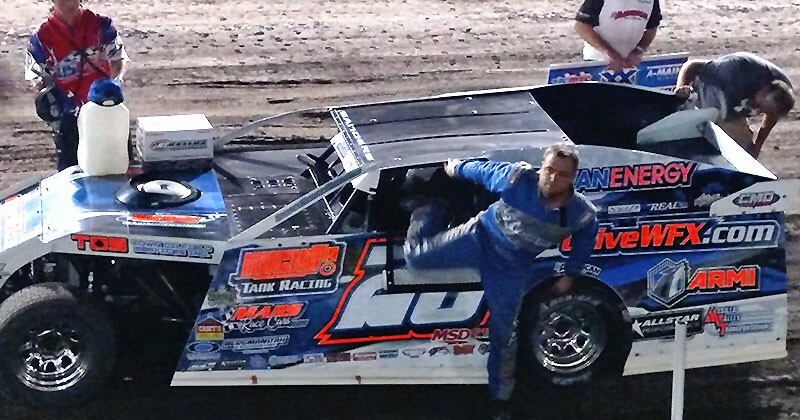 OSKALOOSA, Iowa (July 18)–In capturing his 84th career victory Wednesday night, Rodney Sanders dominated the USMTS Hunt for the Casey’s Cup main event, leading all 30 laps of the 11th Annual Summit Racing Summer Classic at the Southern Iowa Speedway in Oskaloosa, Iowa. It had been seven years since the series fired up at “The Monster” and the win gave “The Sandman” another new race track to add to his list of conquests. A pair of cautions flags on laps 17 and 21 only served to give false hope to Sanders’ pursuers as he was able to pull away on each ensuing restart before crossing beneath the checkered flag with, according to Sanders, “about two laps left” on his right rear tire. Stormy Scott held off his twin brother Johnny Scott to claim the runner-up finish while Terry Phillips and Lucas Schott finished fourth and fifth, respectively. Dereck Ramirez, 16th-starting Kenny Gaddis, Jake O’Neil, 20th-starting Joe Duvall and Lance Town completed the top 10. Tire issues plagued the field in the main event. Both O’Neil and Town ducked into the pits for fresh rubber during the lap-17 caution and both found their way back to the front for top-10 finishes. Others were not so fortunate, including USRA Modified national points leader Darron Fuqua who fell out with four laps to go while running fourth. The touring USMTS titans take Thursday off as they get set to join the Lucas Oil Late Model Dirt Series at the 8th Annual Imperial Tile Silver Dollar Nationals this Friday and Saturday, July 20-21. Both divisions will compete in double qualifying heat races on Friday with a pair of 20-car qualifying features for the USMTS Modifieds that will lock in eight drivers from each into Saturday’s $8,000-to-win championship race. 2. (6) 2s Stormy Scott, Las Cruces, N.M.
3. (1) 7 Carter VanDenBerg, Oskaloosa, Iowa. 4. (5) 4r Dereck Ramirez, Woodward, Okla.
6. (7) 2g Kenny Gaddis, Diana, Texas. 7. (9) 62 Greg Cox, Kellogg, Iowa. 8. (8) 19sb Lance Mari (R), Imperial, Calif.
9. (4) 7 Sean Gaddis (R), Diana, Texas. 2. (1) 0 Jake O’Neil (R), Tucson, Ariz.
3. (6) 1st Johnny Scott, Las Cruces, N.M.
4. (3) 21t Lance Town, Wellsville, Kan.
5. (7) 19r Ryan Gustin, Marshalltown, Iowa. 6. (5) 07 Cory Crapser, Chippewa Falls, Wis.
7. (8) 10 Casey Arneson, Fargo, N.D.
8. (9) 91 Joe Duvall, Claremore, Okla.
9. (4) 9a Logan Anderson, Eddyville, Iowa. 2. (8) 87 Darron Fuqua, Mayetta, Kan.
4. (4) 10c Cayden Carter, Oskaloosa, Iowa. 5. (2) 49j Jason Murray, Hartford, Iowa. 6. (1) 29 Ron Ver Beek, Oskaloosa, Iowa. 7. (6) 9 Jerad Fuller, Memphis, Mo. 2. (4) 10 Casey Arneson, Fargo, N.D.
3. (2) 29 Ron Ver Beek, Oskaloosa, Iowa. 4. (6) 91 Joe Duvall, Claremore, Okla.
5. (7) 19sb Lance Mari (R), Imperial, Calif.
6. (10) 9a Logan Anderson, Eddyville, Iowa. 7. (3) 62 Greg Cox, Kellogg, Iowa. 8. (5) 9 Jerad Fuller, Memphis, Mo., GRT/Mullins, $75. 9. (8) 8c Chris Clark, Jackson, Wyo. 10. (9) 7 Sean Gaddis (R), Diana, Texas, MBCustoms/PTS, $90. 1. (2) 20 Rodney Sanders, Happy, Texas, MBCustoms/Hatfield, 30, $2850. 2. (4) 2s Stormy Scott, Las Cruces, N.M., VanderBuilt/Mullins, 30, $1850. 3. (5) 1st Johnny Scott, Las Cruces, N.M., VanderBuilt/Durham, 30, $1325. 4. (6) 75 Terry Phillips, Springfield, Mo., GRT/Durham, 30, $1020. 5. (8) 69 Lucas Schott, Chatfield, Minn., MBCustoms/Hill, 30, $915. 6. (10) 4r Dereck Ramirez, Woodward, Okla., Hughes/Cornett, 30, $810. 7. (16) 2g Kenny Gaddis, Diana, Texas, MBCustoms/PTS, 30, $450. 8. (1) 0 Jake O’Neil (R), Tucson, Ariz., LG2/Cornett, 30, $705. 9. (20) 91 Joe Duvall, Claremore, Okla., MBCustoms/ChevPerf, 30, $575. 10. (11) 21t Lance Town, Wellsville, Kan., MBCustoms/Driskell, 30, $350. 11. (23) 8c Chris Clark, Jackson, Wyo., GRT/PerfAuto, 30, $325. 12. (19) 29 Ron Ver Beek, Oskaloosa, Iowa, IROC/ChevPerf, 30, $200. 13. (24) 62 Greg Cox, Kellogg, Iowa, Razor/ChevPerf, 30, $200. 14. (3) 87 Darron Fuqua, Mayetta, Kan., MBCustoms/Driskell, 26, $250. 15. (7) 33z Zack VanderBeek, New Sharon, Iowa, VanderBuilt/Sput’s, 25, $550. 16. (12) 10c Cayden Carter, Oskaloosa, Iowa, VanderBuilt/ChevPerf, 25, $200. 17. (13) 19r Ryan Gustin, Marshalltown, Iowa, Hughes/TriStar, 22, $250. 18. (9) 7 Carter VanDenBerg, Oskaloosa, Iowa, Victory/ChevPerf, 21, $200. 19. (14) 23 Adam Kates, Tonganoxie, Kan., LG2/Speedway, 21, $545. 20. (17) 07 Cory Crapser, Chippewa Falls, Wis., MBCustoms/Troy’s, 20, $250. 21. (18) 10 Casey Arneson, Fargo, N.D., VanderBuilt/Durham, 19, $200. 22. (21) 19sb Lance Mari (R), Imperial, Calif., MRT/Yeoman, 17, $250. 23. (22) 9a Logan Anderson, Eddyville, Iowa, Shaw/ChevPerf, 17, $200. 24. (15) 49j Jason Murray, Hartford, Iowa, JMRC/Tesar, 11, $200. Margin of Victory: 0.476 second. Time of Race: 17 minutes, 20.218 seconds (2 cautions). Provisional Starters: Clark, Cox (track). Eibach Spring Forward Award: Duvall (advanced 14 positions). FK Rod Ends Hard Charger: Duvall (started 20th, finished 9th). 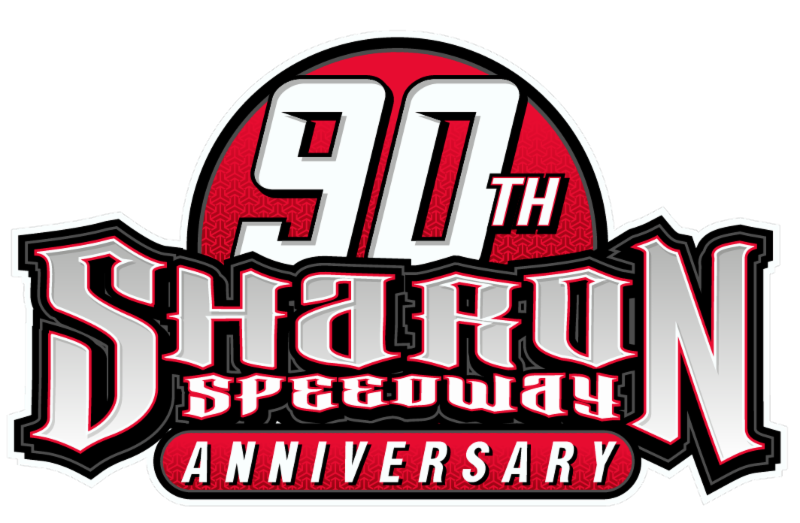 Next Race: Friday-Saturday, July 20-21, I-80 Speedway, Greenwood, Neb. USMTS Hunt for the Casey’s Cup Points: J. Scott 2137, Sanders 1970, O’Neil 1959, S. Scott 1955, VanderBeek 1914, Schott 1866, Ramirez 1861, Phillips 1841, Kates 1323, Duvall 1304. Grant Junghans USMTS Rookie of the Year Points: O’Neil 1959, Mari 824, Carlos Ahumada Jr. 760, Zane Ferrell 692, Billy Vogel 610. USMTS Engine Builder of the Year Points: Durham 221, Sput’s 180, Mullins 169, Cornett 169, Hatfield 158. USMTS Manufacturers Championship Points: VanderBuilt 247, MBCustoms 236, Hughes 175, GRT 175, LG2 165. Beyea Custom Headers – Gustin. Casey’s General Stores – VanderBeek. Deatherage Opticians – Ver Beek. FK Rod Ends – Duvall. Forty9 Designs – Fuqua, Kates. GRT Race Cars – Fuller. Integra Shocks & Springs – VanDenBerg. Jerovetz Motorsports Racing Parts – VanderBeek. KSE Racing Products – Duvall. Out-Pace Racing Products – Carter. Simpson Performance Products – Sanders. Swift Springs – Sanders, Ver Beek. Wilwood Disc Brakes – K. Gaddis.